2018 is shaping up to be a good year for manufacturers. Gross Domestic Product (GDP) is expected to come in at around 3% and manufacturing is expected to slightly outpace GDP. The stock market is at an all-time high, indicating strong investor confidence and more money for investment. In the "it remains to be seen" category, economists argue about whether the lower corporate tax rate passed at the end of 2017 will have any long-term effect on hiring and the economy, but within days of the passage of the bill, a slate of companies announced investments and bonuses to workers at all levels. With signals pointing toward a good year, manufacturers have a decision to make. They can enjoy the strong economy while it lasts -- and pretend it will last forever -- or they can look to the future and invest in technologies that will help them build a stronger organization that can prosper even if (when) the economy loses steam. To help you consider your options, we've compiled The Synchrono 2018 Top Ten Trends for Modern Demand-Driven Manufacturing. This list is based on interactions with hundreds of manufacturers and industry experts -- addressing challenges, supporting innovation and introducing technologies. Before we jump into this year's list, let's revisit what we mean by modern Demand-Driven Manufacturing. What is Modern Demand-Driven Manufacturing? Demand-Driven Manufacturing is a method of manufacturing primarily used by discrete, custom manufacturers, where production is based on actual demand (orders or consumption) rather than a forecast. This is enabled through a synchronized, closed-loop process between customer orders, production scheduling and manufacturing execution -- all while simultaneously coordinating the flow of materials and resources across the supply chain. Modern Demand-Driven Manufacturers are today's truly Lean thinkers. While they are continuously improving, they are also innovating. Modern Demand-Driven Manufacturers realize that this combination not only gives them an advantage in the marketplace, but it drives their efforts to work smarter, more profitably and exceed customer expectations. Modern Demand-Driven Manufacturers embrace technology, but with a different lens -- solutions, not just systems, drive progress. Last year, the common thread throughout Synchrono's Top Ten Trends in Modern Demand-Driven Manufacturing list was digitization, synchronization and visualization. This year's trends revolve around the maturity -- and execution -- of these concepts. Manufacturers continue to invest in technologies to transform their environment through digitization, synchronization and ubiquitous visibility. The trend noted here is the increasing number of manufacturers taking advantage of more flexible and highly configurable cloud technologies that allow them to more affordably layer on value-added capabilities, rather than "rip-and-replace" expensive enterprise systems. A layered approach goes hand-in-hand with the Lean and continuous improvement principles inherent in modern Demand-Driven Manufacturing. Layering technology allows manufacturers to approach transformation pragmatically and achieve significant wins. An example of applying layered technology to advance supply chain maturity involves an automotive manufacturer looking to transform its extended supply chain into a more connected, collaborative ecosystem. While the recommended solution started with getting its internal supply chain in order (synchronization), it also included layering technologies onto its SAP ERP to connect and communicate with the extended supply chain. Amazingly, a number of large, multinational manufacturers use spreadsheets and manual processes to manage their largest cost center -- production operations. When speaking with these manufacturers, many reverted to spreadsheets and/or manual processes due to limitations or the lack of flexibility in the manufacturing systems packaged with their ERP. Modern Demand-Driven Manufacturers are adopting a manufacturing system of record (MSOR) that stacks on top of their ERP to digitize, synchronize and visualize manufacturing operations and the supply chain. Manufacturers are pragmatic people. They have to be when margins are as tight as they are in most industries. But, this means manufacturers are often slow to put new technologies into the hands of their employees. It's not that they don't believe in the power of technology, they just need to have a specific, relevant reason to invest. Demand-Driven Manufacturing and capabilities such as those found in a MSOR is giving manufacturers that reason. Instead of collecting data for data's sake, the MSOR curates data from multiple sources then serves it up in ways that help the manufacturer achieve goals that are meaningful to them such as predictive maintenance, managing constraints, reducing lead times and improving inventory flow. As a result, new intelligent devices are springing up all over the plant floor. The Internet of Things (IoT) has been talked about in manufacturing circles practically since MIT coined the phrase in the late 1990s. At some point in the not-too-distance past, someone (or several someones) came up with the phrase, Industrial Internet of Things (IIoT), to refer specifically to the IoT in an industrial context, such as a manufacturing plant. 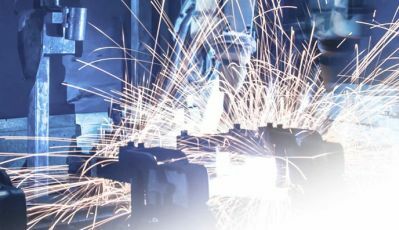 Since then, IIoT visionaries and vendors have created compelling stories about how the IIoT can transform manufacturing operations and entire supply chains. 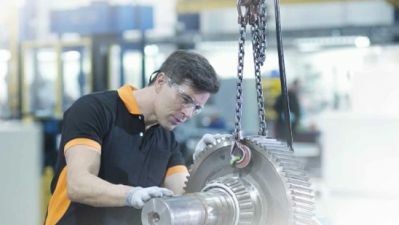 The key to understanding how the IIoT can benefit manufacturers lies in understanding that the "things" the IIoT connects include equipment, processes, data and people. The first wave of IIoT implementations focused on collecting data and analyzing it for insights. The next step is to synchronize sources to not only make the data collectively visible, but to apply relevant context to it to drive flow and take immediate, appropriate action when and where required. This synchronization can take many forms and can be different for every manufacturing environment. (Another reason for a layered technology approach that addresses specific needs versus a one-size fits all monolithic system.) Synchrono has worked extensively to synchronize on-demand supplier replenishment; reducing inventories upwards of 50 percent and, for an aerospace and defense manufacturer, cutting their amount of scrap to near zero levels. Sales & Operations Planning (S&OP) is designed to align production with projected sales. Around since the 1980s, S&OP is especially helpful to organizations that deal with a lot of variability. In make-to-order environments, S&OP can help production gear up for potential orders. In make-to-stock environments, S&OP can serve as a reality check on the sales forecast, giving production greater insight into how realistic the forecast is and any variability they should be ready for. Modern Demand-Driven Manufacturing changes the S&OP paradigm from a short-term outlook to a longer-term one (months to years). Modern Demand-Driven Manufacturers use S&OP tools to model, develop and compare scenarios for aligning supply and capacity against projected demand. In manufacturing, the key to market leadership is to be faster, better or cheaper than the competition at what is important to your customers. As most manufacturers know, being cheaper is often a losing game long-term because there is always someone who can undercut your pricing, at least for as long as is necessary to eat into your customer base. Faster and better is usually more profitable in the long-run. Nevertheless, there are still strong pricing pressures, even for those with innovative products and short lead times. Of course, achieving market leadership, or even a strong challenger position, doesn't mean you have to do it all. Long ago, manufacturers learned the value of subcontracting those parts of the process with others who could do it faster, better or cheaper than they could. The opening of economies and trade routes around the world and advancements in transportation technologies have overcome many of the logistical challenges to outsourcing. A recent outsourcing study found that 32 percent of manufacturers are outsourcing at least 50 percent of their processes -- and attributed real-time visibility and collaboration as keys to success. Humankind has been fascinated with (and a little fearful of) machines that could learn without human intervention since Isaac Asimov introduced his three laws of robotics in 1942. Fast-forward to 2018, and many are starting to see how machine learning can improve manufacturing operations at a time when resources, including qualified, trained people, are in limited supply. In our context, we associate machine learning with the ability to anticipate or pre-empt events. Let's say, for example, you are looking to reduce downtime and increase throughput. Investing in newer equipment is one way to do that, but the capital expense is out of reach for your organization right now. Your only option is to get the most you can from your current equipment and to do everything you can to avoid a breakdown. Like Demand-Driven Manufacturing, the Digital Demand-Driven Supply Chain synchronizes everything to actual orders/consumption (i.e., demand) at every level on the chain. The goal of the Digital Demand-Driven Supply Chain is to get as close to the demand signal as possible and synchronize all downstream activities and resources. This works to drive end-to-end flow across the supply chain and throughout production, improving other vital performance metrics such as throughput and on-time delivery while increasing capacity. Clearly the most efficient and affordable means of implementing and scaling a Digital Demand-Driven Supply Chain strategy (that includes collaboration and visibility initiatives) is through Cloud-based technologies, although a recent report indicated that the manufacturing sector is lagging behind in adopting these technologies. This is attributed to the challenges of digitizing manufacturing. The same report, however, predicts a rapid expansion of Cloud penetration in manufacturing across the globe -- with over 90 percent of survey respondents indicating that the Cloud will play a significant role within three years. Robots have been a valuable manufacturing tool for years. They can do repetitive and dangerous work that put humans at risk. But the model of the robot behind a cage or partition designed to reduce interaction between humans and robots may be changing. Researchers at Berkeley are looking at a future where humans and robots will work side by side to accomplish more in less time. Advanced robot and human interaction (HRI) could provide the answer to the people resource challenge that plagues manufacturers today. According to the Manufacturing Institute, there will be a projected shortfall of 2 million skilled workers in manufacturing over the next decade. Another change to the manufacturing labor landscape will be the demand for workers with skills to program their robotic partners. HR professionals around the world might want to start revising their hiring profiles to include individuals who work well with robots. Even manufacturers who do a great job managing operations within their four walls can struggle with their supply chain. There are too many variables outside of their direct control. Customers are unpredictable -- they want what they want when they want it. Modern Demand-Driven Manufacturing is changing the paradigm and allowing manufacturers to improve supply chain responsiveness for lower lead times and higher service levels. That's because modern Demand-Driven Manufacturing is first and foremost built on responsiveness to the customer.